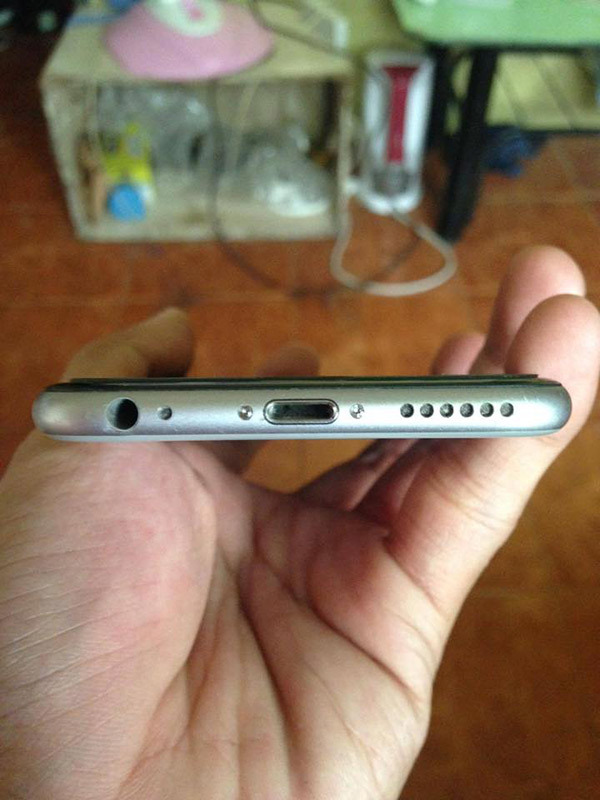 Have you lost an iPhone? 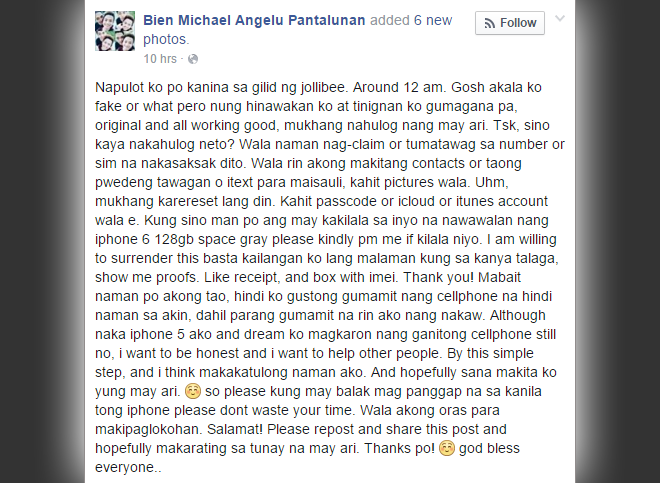 You might want to read this viral Facebook post of a man who found an iPhone 6 at Jollibee early Tuesday morning. 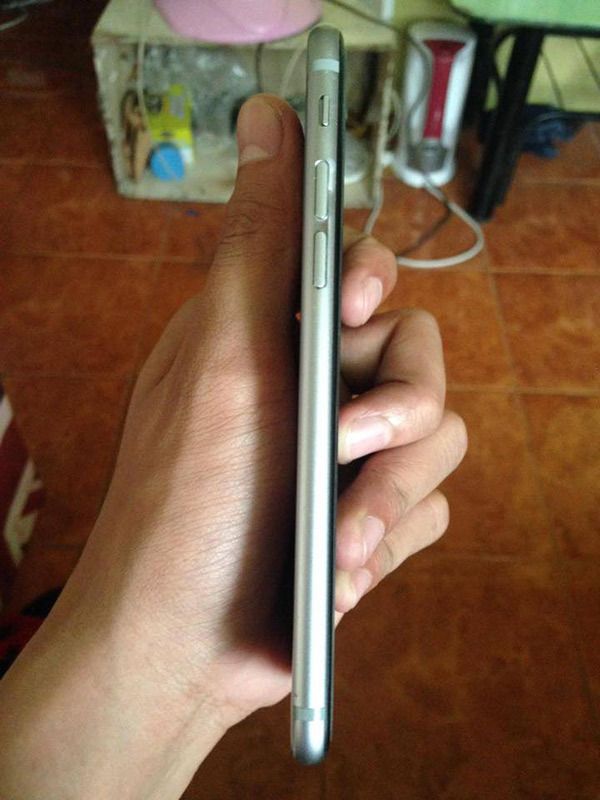 Bien Michael Angelu Pantalunan said he found the phone beside the fastfood restaurant around 12 a.m. on December 15. 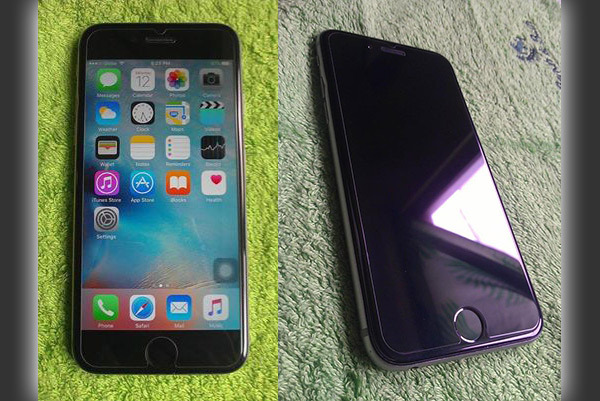 He described it as "original" and "working good" 128 GB iPhone 6, the color of which is space gray. The good samaritan said nobody claimed or called and no contact numbers as well as pictures can be found on the phone. 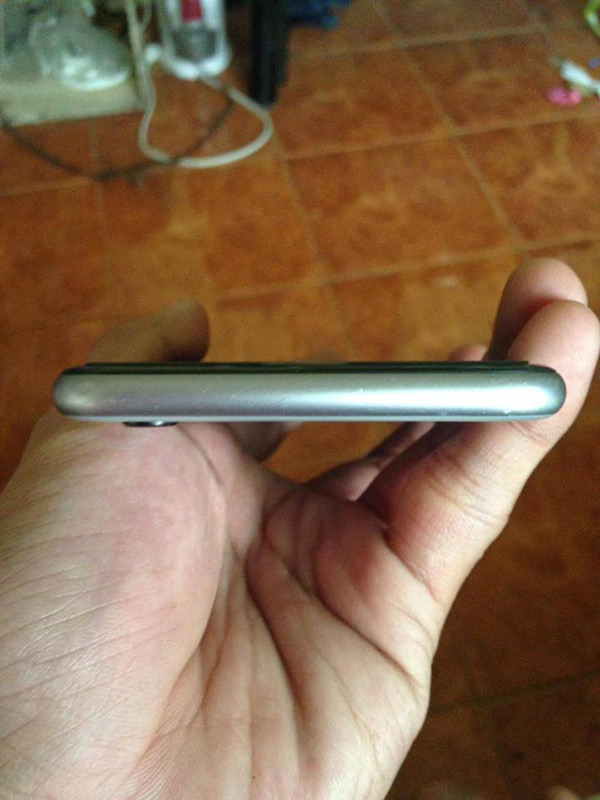 He wants to return it to the owner who can show proof such as receipt and box with IMEI. 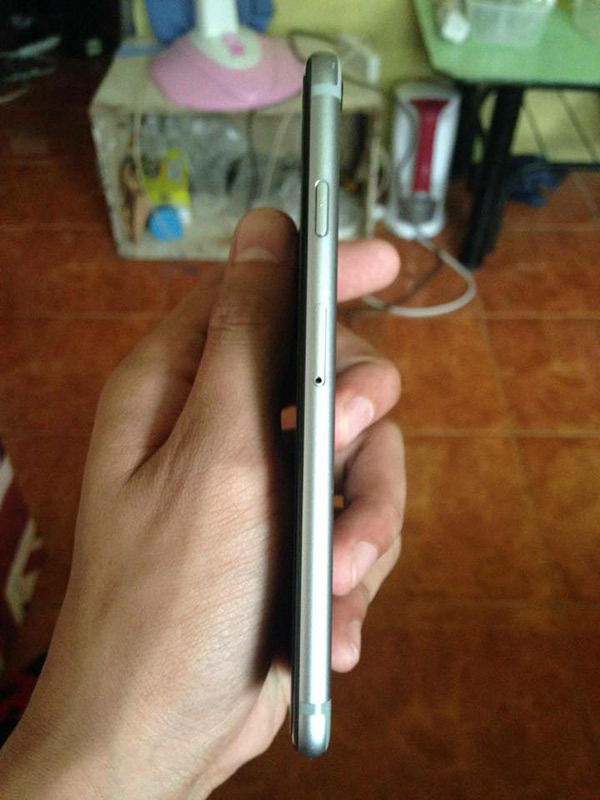 Pantalunan said he owns an iPhone 5 and despite of having a dream to own the latest version, it never came to his mind to use something that's not his.